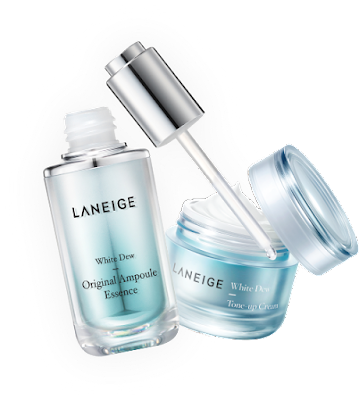 Achieve beautiful glowing skin that will be the envy of everyone with the NEW White Dew Original Ampoule Essence and White Dew Tone-up Cream. Register now for a sampling kit! Redemption date starts on 17th March 2017 and ends on 30th April 2017 . Limited to one sampling kit per customer while stocks last. Sampling kit contains 1 - pc White Dew Original Ampoule Essence 1ml and 1 - pc White Dew Tone - Up Cream 1ml only. Please present voucher code at any Laneige counter or boutique nationwide to redeem sampling kit.